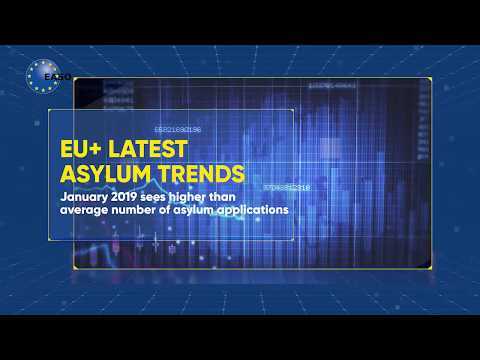 On 5 December 2018, the European Asylum Support Office (EASO) convened its 8th annual Consultative Forum Plenary Meeting in Brussels with over 200 participants from NGOs and academia, as well as international organisations, EU institutions and Member States. “Reception is one of the primary stages of Member States’ asylum systems; the provision of dignified reception conditions whereby applicants have effective access to support services is key for successful integration and for our societies. However, reception is also a key area of the CEAS that is in need of structural improvements”. Mr. Addou emphasised that civil society possesses a wealth of knowledge and experience in the field of reception and encouraged participants to provide “concrete ideas and solutions to jointly better serve applicants for international protection, ensuring that they are offered a dignified standard of living and comparable living conditions in all Member States”. The meeting was divided into four main sessions, each addressing specific aspects of reception. Following opening statements by Mr. Addou, the European Commission’s Deputy Director General for Home Affairs and Migration, Simon Mordue, and the Belgian Commissioner General for Refugees and Stateless Persons, Dirk van den Bulck, representatives from EASO provided an overview of recent asylum trends, including an overview of EASO’s main activities in the field of reception. This was followed by a panel debate on the flexibility of national reception systems and their capacity to efficiently and effectively respond to changing inflows. In the afternoon, participants engaged in five parallel participatory workshops on key topics of reception: i) provision of information; ii) reception of children’ iii) emergency reception provision; iv) coordination between different stakeholders involved in reception, and; v) reception and society. A final debate on “Reception: Future Perspectives” closed the meeting. The annual plenary meeting of the Consultative Forum brings together all of EASO’s stakeholders, most notably civil society organisations, including NGOs and academia, as well as IGOs, EU institutions and Member States, in order to exchange information and pool knowledge, with a view of ensuring that close dialogue is maintained between the Agency and its partners. The plenary follows other meetings held with civil society earlier this year, including a thematic meeting on the provision of information in Malta and an informal Consultative Forum Planning Meeting in Brussels during which members contributed their ideas for the Plenary. The Plenary further builds on other activities with civil society, including electronic consultations that EASO has held with civil society on key documents and many EASO meetings/activities in which civil society representatives were invited to participate.